In Book 1: Life’s Journey, Abby arrives in Berkeley, filled with hope and promise, hoping to land a new job and start magic college, when she stumbles upon a supernatural multiple murder scene. On BarnesandNoble, US Kindle, Canada Kindle, UK Kindle, Apple, Kobo, and Smashwords. Book 1: Life’s Journey is also on Amazon in Australia, Brazil, Germany, France, India, Italy, Japan, Mexico, Spain, and Netherlands. In Book 2: In Dark Woods, compelled into a dangerous murder investigation, Abby is torn between her past and her future, torn between three men, Daniel Stern, her ex-fiance, Jack Kovac, an enigmatic FBI agent, and Prince Alastor, a potent supernatural man who lives in the penthouse and may be a suspect. Book 2: In Dark Woods is also on Amazon in Australia, Brazil, France, Germany, India, Italy, Japan, Mexico, Spain, and Netherlands. In Book 3: The Right Road, Abby discovers that Prince Alastor is not at all what he seems and uncovers ancient supernatural secrets behind the murders. She faces dangers and challenges ahead. Book 3: The Right Road is also on Amazon in Australia, Brazil, France, Germany, India, Italy, Japan, Mexico, Spain, and Netherlands. 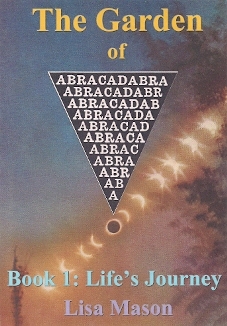 Author Ryan Schneider interviewed me about The Garden of Abracadabra.